iPhone holder for your flight. 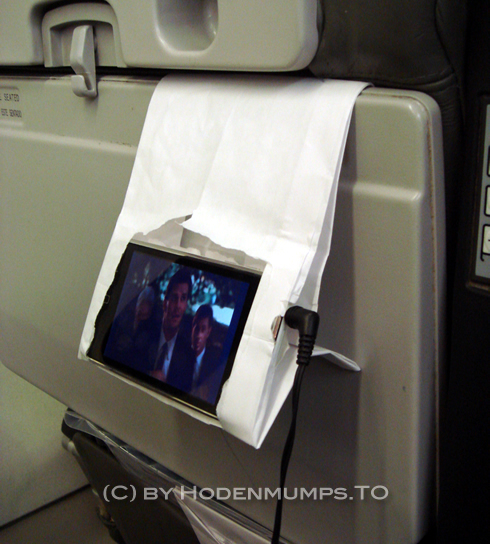 Ever tried watching a movie on your iPhone while you fly? Then you know how tired your hands get. This is the way to go my friends. Also compatible with iPod touch. Not compatible with barfing. Via Engadget.